If you’re like most people then you might think that writing a journal/diary is child’s play. That there’s no possible value of such thing for a grownup. Well, think again. I always say that keeping a personal journal is the best way of warming up your writing muscle in the morning. Moreover, the sole concept of writing in the morning is one I’m constantly advertising everywhere I can. I think that I mentioned it in at least 5 of my posts on different blogs. I don’t intend to repeat myself here again, so let me give you the short version of the story. We all like to feel productive throughout our workdays, right? But those initial hours (also known as the morning) can be tough. We’re a bit confused, not up to our full potential and all. Here’s where a good warm-up comes into play (a warm-up for our brain, that is). And for me, there’s just nothing better than writing a journal. Mostly because it forces your brain to start working, but at the same time it’s nothing tough, so there’s no struggle to get going. A journal is simply something you can write in whatever state of mind you’re in at the moment. And here’s where Penzu Pro comes into play. Whenever I talk about writing a journal in the morning, I mention Penzu as the go-to place. Personally, I don’t see the point of keeping a physical journal in the 21st century. But keeping it as DOC files doesn’t quite cut it either. Your content can always get viewed by other people, which is something I’m sure you don’t want to happen. That’s why an online solution of some kind is the only sensible way here. And Penzu fits the description perfectly. It’s easy to use, secure, and available worldwide. Penzu offers two main accounts: Penzu free and Penzu Pro. If you don’t want to spend any money then Penzu free will surely be enough to make you happy. There are no apparent downsides to the free plan and everyone who just wants a simple online journal, will find it incredibly useful. The user interface is very easy to use. There’s virtually no learning curve, you can start working the minute you sign up. 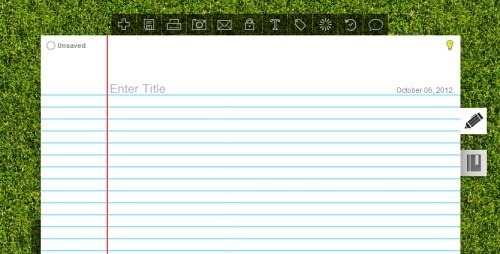 The default screen simply presents a blank pad where you can start writing your entry. There are many customization options to choose from, so every entry can be unique and have its own style. For instance, you can upload some pictures from your computer or have them embedded from Flickr. You can also customize the font and the style of your text. This is great when you want to distinguish a fragment of text from the rest (like with a quotation, for example). I’m sure you know how tags work. In Penzu Pro, you can use them like in any other article management software. This is particularly handy if you write a lot of entries and need a way to browse through them for specific information. Possibly the coolest thing about Penzu Pro is the possibility to customize pad styles and backgrounds. 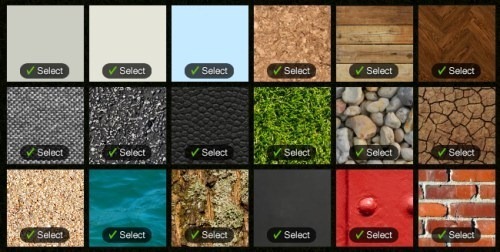 You can choose one of the available stock backgrounds or upload your own. One relatively new feature in Penzu Pro is version control. What this means in plain English is that you can fetch previous versions of a given entry. This is not very useful if you’re using Penzu for personal journals, but if you use it for creating any work-related documents then it’s a completely different story. Finally, there’s sharing. By default, every entry is private, which means that the only person who can view it is you. However, you can let other people through the door if you’ve written something you think they might enjoy. You can share each entry individually by listing email addresses of people who can view it. Additionally, shared entries include a comment form below the entry. Without further ado let me quickly say that Penzu Pro is $19 per year. Simple rules, not much more I can say about the pricing. Oh yes, there’s a 30-day money-back guarantee. Penzu Pro is a great solution for many reasons. It’s easy to use, affordable, and available online wherever you are. For me, this is the best tool available for keeping your personal journal. No hassle with pen and paper, or making sure that your DOC files don’t get viewed by other people. With Penzu Pro this is none of your concern. Besides, $19 a year? Come on, it’s only 6 cents a day. I know that every review that doesn’t list any bad sides is just not a serious review, but this time I really can’t find any downsides. Penzu Pro works perfectly well on any device I’ve tested it on. However, feel free to let me know if you’ve stumbled upon any difficulties. I will gladly look over them. In the meantime, I really recommend joining Penzu and checking out for yourself how quality the service is. If you don’t want to spend money right away, you don’t have to. The free account will get you going too, only without the cool additional features.